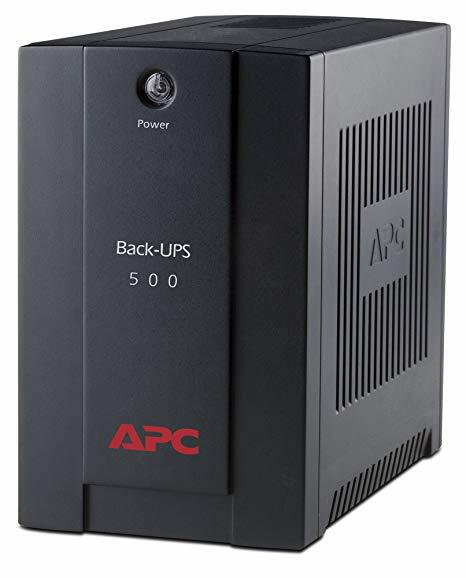 All MDS replacement UPS battery kits are assembled using high quality CSB lead acid batteries. 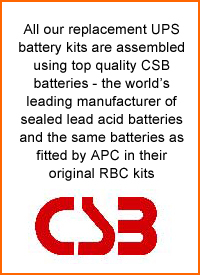 All our replacement UPS battery kits are assembled using high quality CSB VRLA batteries; CSB are one of the world's largest manufacturers of sealed lead acid batteries and MDS are the sole UK importers. 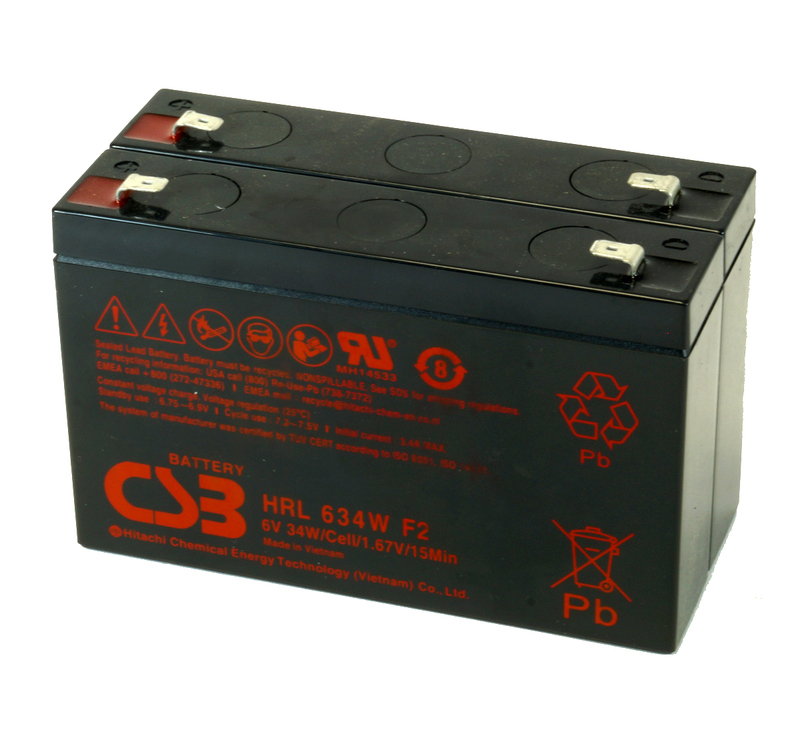 We offer a free battery recycling service for all types of sealed lead acid batteries; simply send in your batteries for recycling - we'll do the rest - and help the environment. Please contact us for further details.